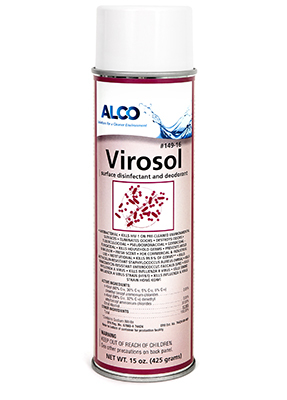 Alco Virosol - Alco-Chem, Inc. Kills Staph, TB, the HIV-1 Virus on environmental surfaces. Kills odor causing bacteria in the air.